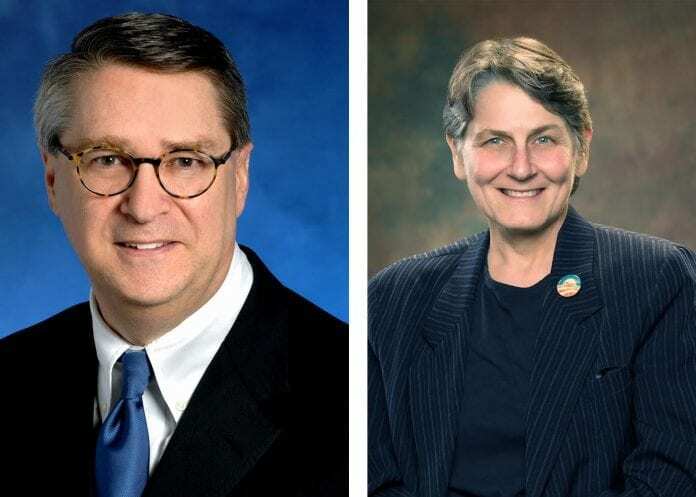 NASHVILLE, TN — Bill Harbison, partner at Sherrard Roe Voigt & Harbison, and Abby Rubenfeld, owner at Rubenfeld Law Office, PC, have been honored with the Nashville Bar Association’s John C. Tune Public Service Award. The award is the highest honor presented at the NBA’s annual banquet, recognizing members who make outstanding contributions to the Nashville community while distinguishing themselves as practicing attorneys. The two attorneys were lead co-counsel on the landmark Tanco v. Haslam case for marriage equality. Harbison works primarily in the areas of corporate law and trusts and estates. He also handles litigation in those same practice categories. He is immediate past president of the Tennessee Bar Association, past president of the Nashville Bar Association, and a fellow of the American Bar Foundation, Tennessee Bar Foundation and Nashville Bar Foundation. A member of the Nashville Estate Planning Council, he is a past president of that organization. Harbison is a Fellow of the American College of Trust and Estate Counsel. He was selected by the Tennessee Supreme Court to serve on the Board of Professional Responsibility Advisory Committee, and is a hearing panel member of the Tennessee Board of Professional Responsibility. He has been listed in Best Lawyers in America since 2001 and has twice been recognized as “Lawyer of the Year” by that publication in the area of Bet-the-Company Litigation. Rubenfeld’s general practice includes an emphasis on family law, LGBT and AIDS-related issues, and civil rights cases. She was the founding Chair of the newly-formed Tennessee Bar Association Section on LGBT Rights for 2015-16. She served for seven years on the Board of Directors of the Human Rights Campaign, a national civil rights organization and the largest lesbian and gay political organization in the world, and for many years on the Board of Directors of the ACLU of Tennessee. 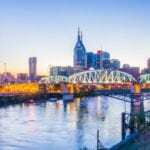 She has also served as Chair of the American Bar Association (ABA) Section of Individual Rights and Responsibilities and as Chair of the Nashville Bar Association Family Law Committee. In 2014, she was inducted into the YWCA Nashville Academy of Women of Achievement. She is extremely proud to have been co-counsel for the Tennessee plaintiffs in Obergefell v. Hodges (Tanco v. Haslam), the cases that brought full marriage equality to the United States on June 26, 2015. She was named Nashvillian of the Year for 2015 by the Nashville Scene magazine, with Tanco co-counsel Bill Harbison.